this section allow to download all API available or applications logs. you can now check your database eBay. This is useful if you have a problem of synchronization or another kind of problem. Whit this tool you can check and fix immediately all the table used by the eBay module. you can now check the list of eBay categories used in the module compared with the last versions of categories definitions on eBay. 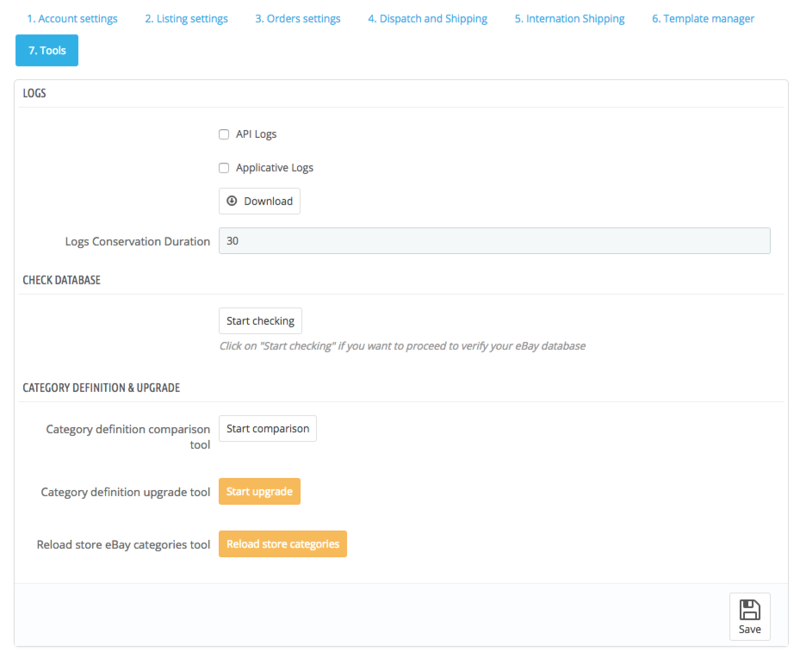 You can also start the update of the categories definitions if you have some problems with their synchronization. with this tool, you can update the eBay categories which have been edited / add.